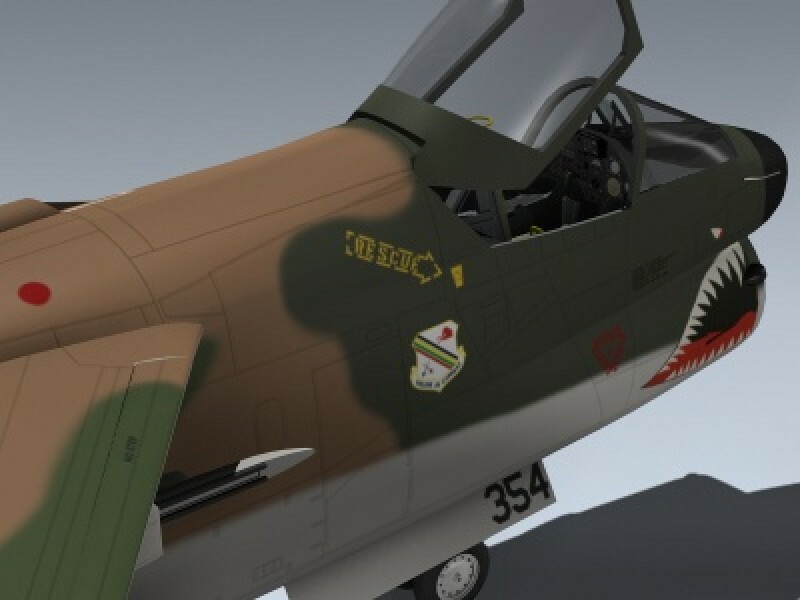 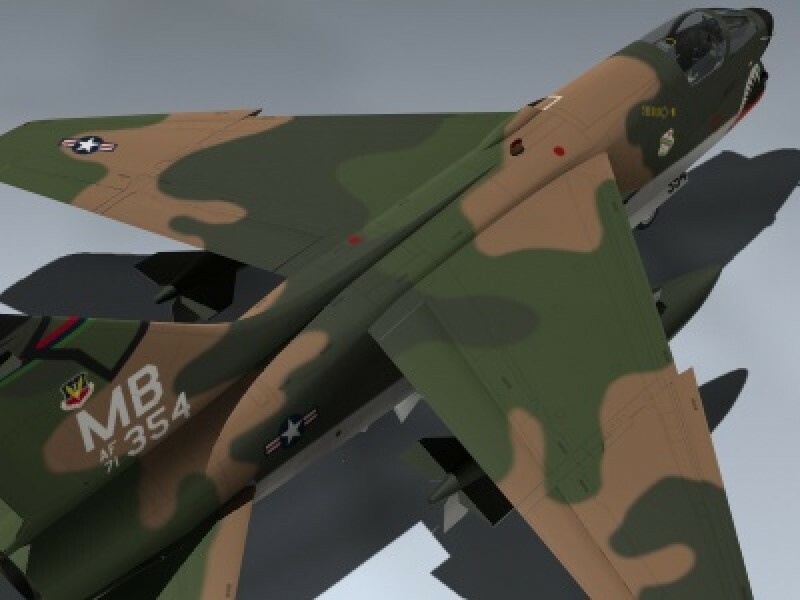 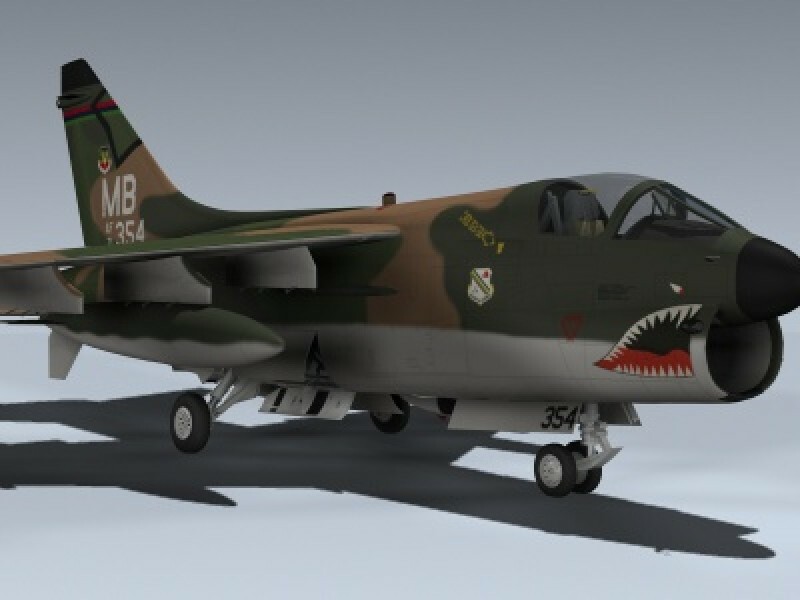 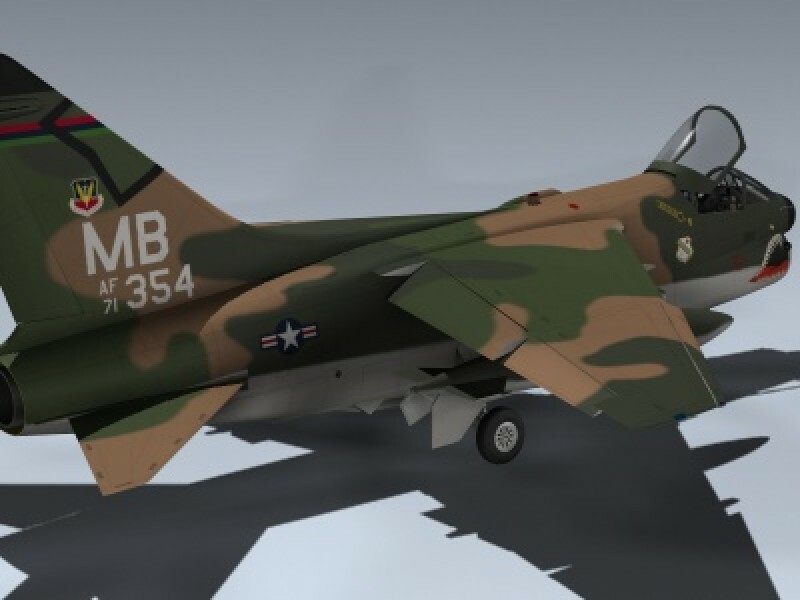 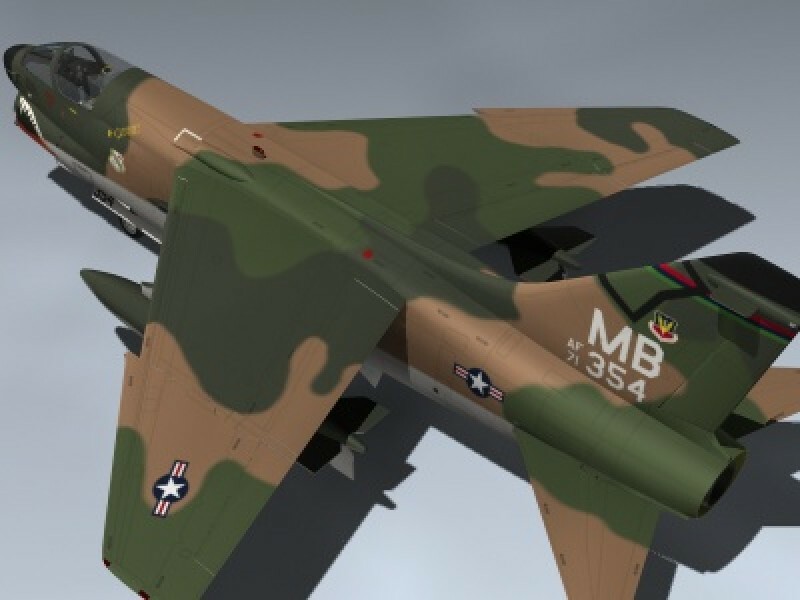 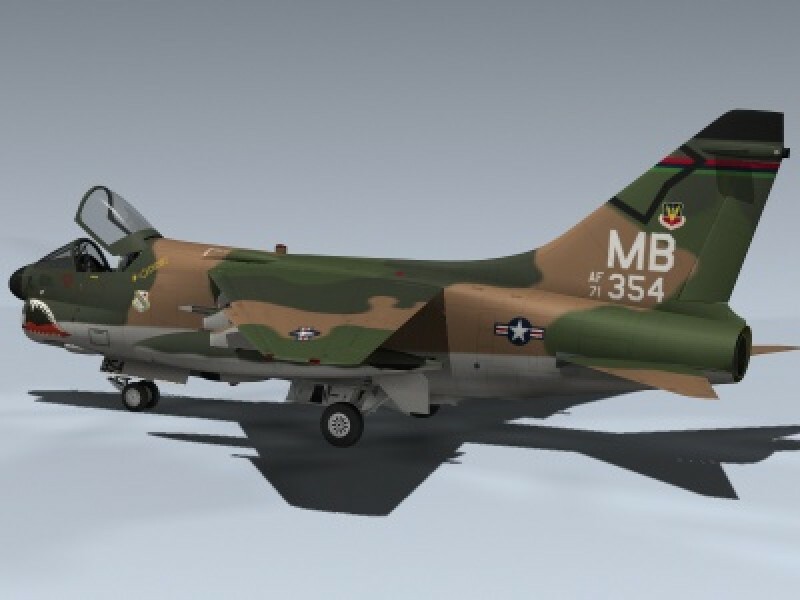 Model accurately depicts a USAF A-7D from the 353rd Tactical Fighter Squadron in the original SEA camouflage scheme. 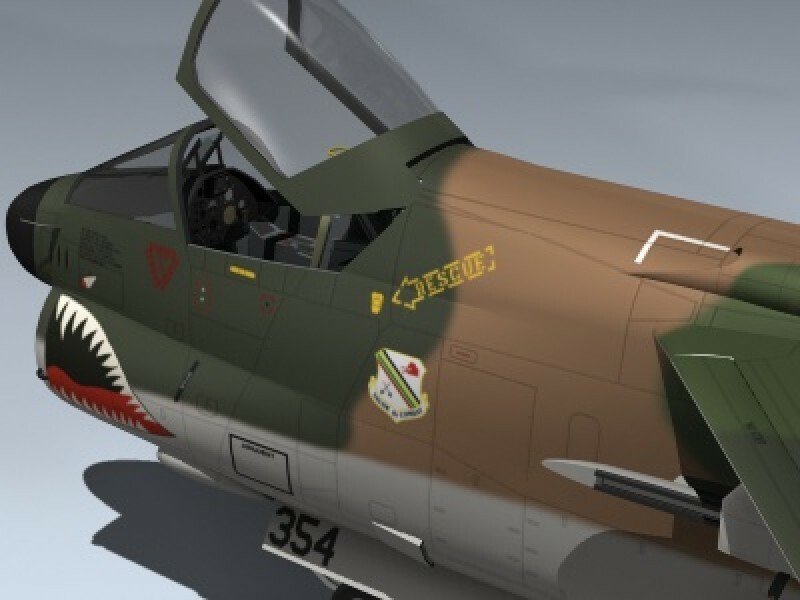 Ejection seat, canopy, pylons, drop tanks and flight control surfaces are all separate objects for animating. 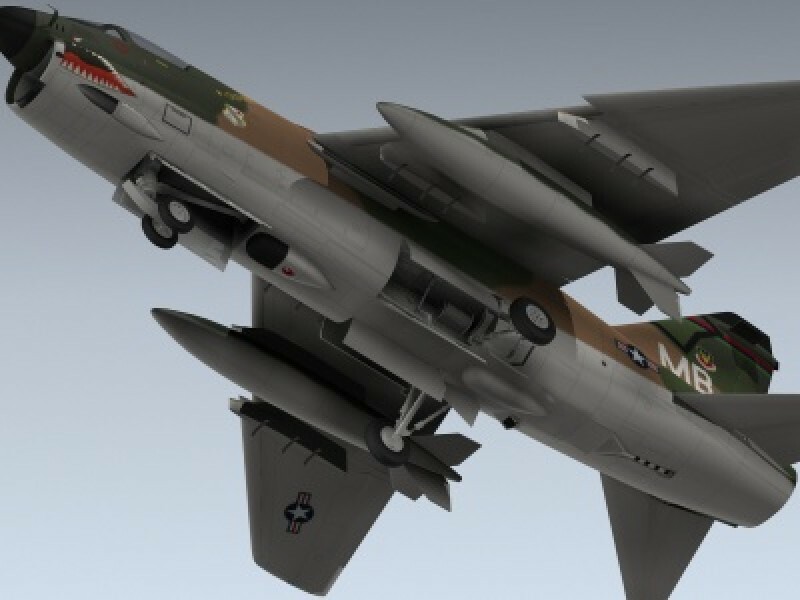 Includes separate landing gear doors in the stowed position for fast in flight set-up.